Can you introduce yourself and your organisation? 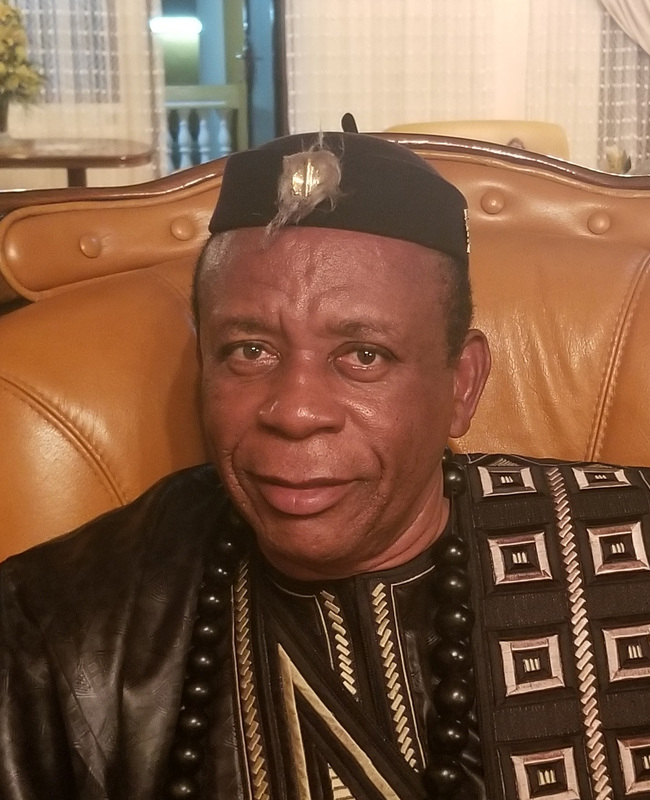 I'm Dr King Tanyi Robinson, Secretary General of RECTRAD, the Network of Traditional Leaders for the Sustainable Management of Ecosystems in Central Africa. 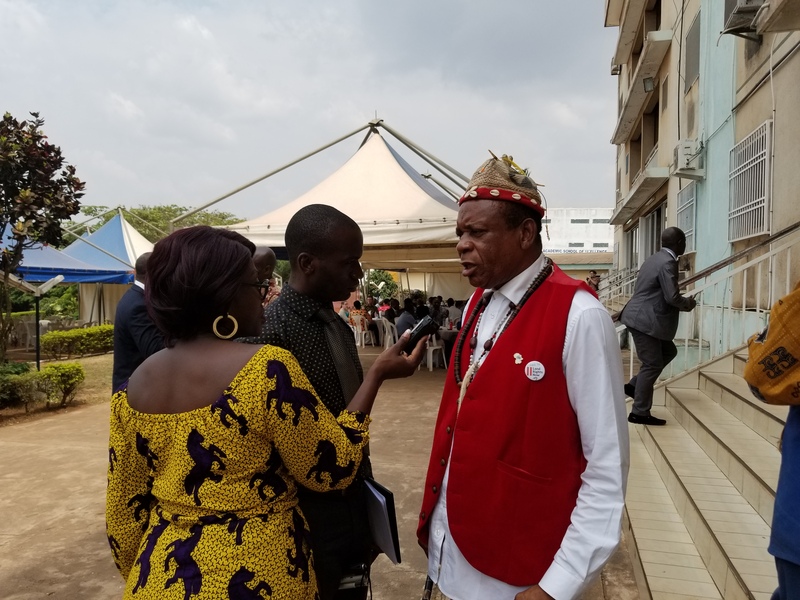 We regroup traditional authorities and leaders all over Cameroon and Central Africa. Since our creation in 2011, we advocate for inclusive reforms in the land, forestry and mining sectors, which address both national development and local aspirations, the preservation of the cultures and livelihoods of our peoples. We are a rights and advocacy instrument of our communities. What does RECTRAD hope to achieve in 2019 with respect to land? We’ve just come fresh from LandCam’s Land Tenure Week, which was very rich, with lots of lessons learned and resolutions taken. In addition to incorporating these and LandCam’s group initiatives into our agenda for the year, we intend to present these resolutions to our communities in seminars, and in particular to explore how the complaints from women and youths on access to land can be resolved through our own traditional usages. To this end, we are aiming to produce a guide that will focus on how to address some of the customs that are a barrier to access to land by men, women and youths within our communities. In parallel, we also wish to continue our advocacy in pushing the ongoing land reform ahead – in fact, our ultimate goal would be to see the draft law brought out of the cupboards, dusted, passed through Parliament and made into law, because resolving the land issues is resolving the latent crisis that exists within our communities. About sixty percent of conflicts brought before courts today have a bearing with land, and this is because the land policies, when they exist, are not properly designed and communicated to the people. So there is a gap of knowledge that we try to make up for by sensitising and mobilising our communities towards understanding the law and abiding by it. Finally, we would like to see the government recognise the rights of communities to land and invite them at the negotiating table on all land issues that concern them. We are not against development, agribusinesses coming in, but we want to be a part of the discussions, to ensure the strict application of agreed conventions, and that the fallout and the contributions ensuing are properly being put in place in the interest of concerned communities. Because when the people understand why a corporation is coming, collaboration is easier and more productive. What provision would you really like to see included in the new land legislation in Cameroon? First and foremost, we want that draft law introduced in Parliament. As for its contents, we want it to integrate the concerns of traditional authorities expressed in a document that got negotiated over time with the government. I won’t list them all here, but one particularly important inclusion would be allowing the people to carry out community land use mapping, which over time makes a big difference in reducing internal conflicts between communities.